Fendt VarioPull: A pioneering innovation. On large combines, the question arises of how to optimise the axle load distribution to prevent load relief, protect the soil and maximise the traction power of the tyres. The aim of Fendt VarioPull is to be able to set the ideal load distribution between the axles, by making better use of the existing weight of the operating equipment in terms of traction, taking the varying implement tongue weights into account. In doing so, the tongue weight is shifted as far as possible from the rear axle to front axle. VarioPull does this by drawing the coupling point, for example the lower link hook, as close as possible to the rear axle using a hydro-mechanical locking cylinder. This lowers the lever arm between coupling point and rear axle, and therefore reduces the load relief on the front axle. 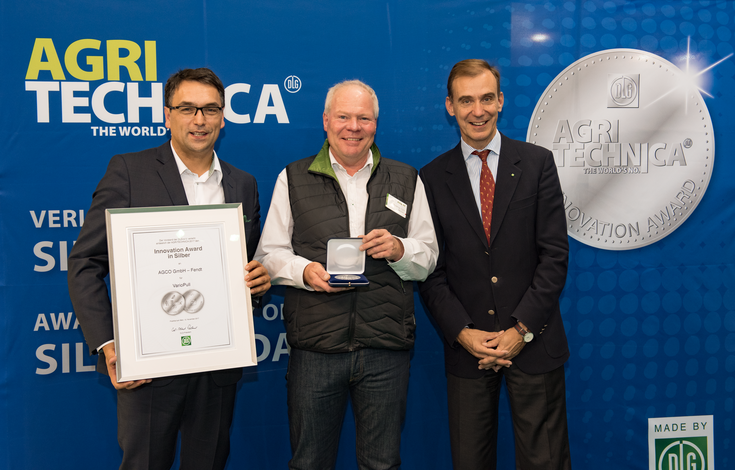 Fendt VarioPull: trendsetting innovation awarded with silver. The DLG honored the Fendt VarioPull, a system with a perfect tractor/implement weight distribution, with the silver medal.